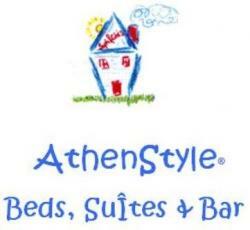 Like every year, AthenStyle hostel is organizing and amazing NYE party at its famous covered and heated rooftop bar for all its guests and friends as well as anyone who wants to have fun and enjoy a pleasant and exciting night! The party starts at 8pm with our regular 2 for 1 Happy hour on beer and selected cocktails and shots! Would you like a taste of Greece? At 9pm we will be serving some finger foods! This year, just for tonight, we will have 2 for 1 Champagne ALL NIGHT!! After 1 am join us for a crazy tour around the cities streets to continue partying! Let’s welcome in the new year 2014 all together at our rooftop bar at AthenStyle!! May you have good luck and safe travels in the New Year! Momondo – cheap flights and hotels! Do you want to make your next reservation and you don’t know where? Momondo is a great site to find cheap flights and hotels all over the world as well as to compare prices! Just tell them where you are going and they will do their best to find the best prices!